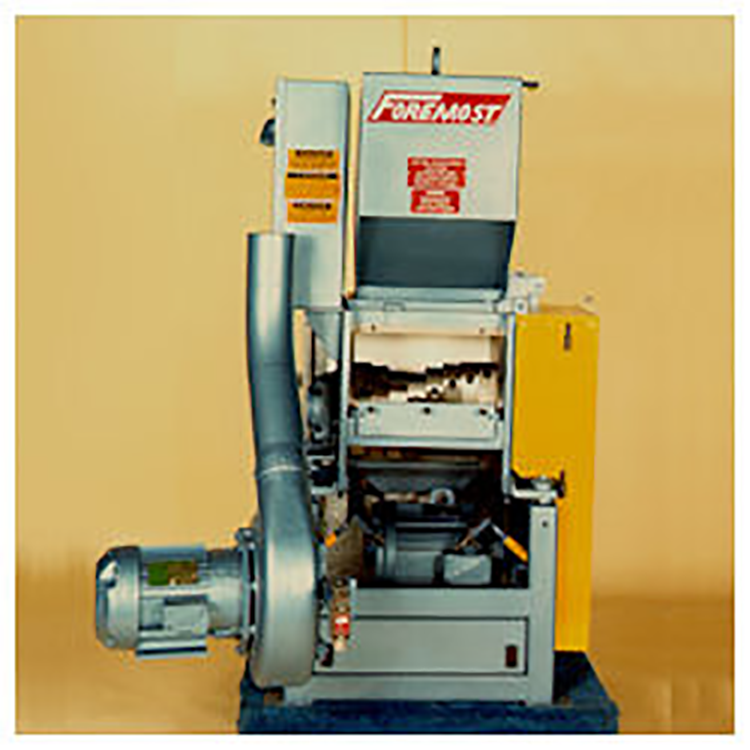 The compact construction of Foremost’s spiral cut grinder with its unique 24 knife rotor allows lower speeds to accomplish the same work as other grinders. The result is low noise (under 80 dBA with most materials) and low power consumption with smooth, high throughput operation. Higher productivity is achieved through the use of special high alloy, low wear knives. Their unique construction provides less downtime for replacement or resharpening. When maintenance is required, knives can be individually replaced or resharpened outside the cutting chamber. This permits sharpening of the full edge and prevents contaminants from entering the chamber. Maintenance ease applies to more than just the knives. The hinged cabinet can be opened or removed without tools for total access. The cutting chamber is accessible from a hinged hopper or front and rear chamber access doors which may be removed for total cleanout or knife adjustment from above the machine. The specially designed discharge blower swings away from the machine without the need to disconnect wires or piping.